DPD ReagentStrips — If you use DPD-1 to test for free chlorine residual, then undoubtedly you do so using DPD in powder or tablet form. 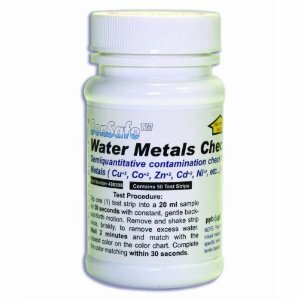 Both methods work, but DPD-1 ReagentStrips make testing for free chlorine residual in water a faster and easier process while staying in compliance with 4500-CL G. Simply insert a DPD-1 ReagentStrip into a 10mL water sample, move it back and forth (liberated required DPD chemistry off of reagent pads), and read visually or with your favorite meter. 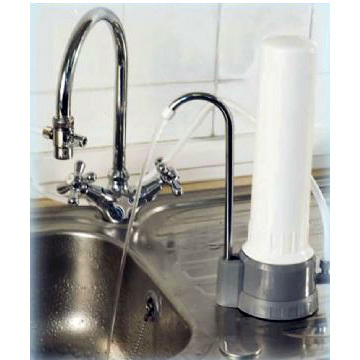 SenSafe™ Free Chlorine Water Check — In the original recommendation letter from the USEPA, dated October 2003: “We believe that the ITS test strips will provide the regulatory community with a valuable option for monitoring free chlorine levels in drinking water.” This method bears USEPA Approval for in drinking water applications. While both testing methods make free chlorine residual testing much easier without losing accuracy, we highly suggest check with your State and Local inspectors first before using either product for compliance monitoring… because as you know (probably better than we do! ), sometimes State/Local regulation changes do not always keep up with Federal Regulation changes. Good afternoon, Domingo, and thank you for your inquiry regarding possibly providing water testing to airlines and ground services at an airport in the Bahamas. At this point we do not know exactly what sort of information you seek… but we have heard that some airlines already have guidelines and procedures in place which require testing of water that will get served on their planes regardless of geographic location. 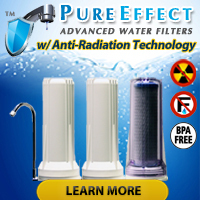 At the very minimum those tests, we would guess, include testing water in planes’ potable water tanks for free chlorine levels and unwanted organic contaminants such as coliform bacteria — though the results of bacteria testing would not become known until after 24 hours and by that time the plane would obviously have already left the ground and traveled, perhaps halfway around the globe. We suspect that you will need to get in touch with each respective airline’s main office if you want to learn more about what each airline tests for. Additionally, you may also want to contact the FAA (Federal Aviation Administration in the United States) to see if they have any regulations on the books governing water quality on airplanes and/or at airports. Conveniently, this brings us to the matter of testing water used by ground services at the airport. Without a doubt any food service operation must adhere to water quality requirements and testing testing requirements spelled out for them by the local health department. Also without a doubt, the airport answers to the region’s environmental and/or natural resources department on matters dealing with the quality of water exiting the property in the form of waste water, runoff, etc. 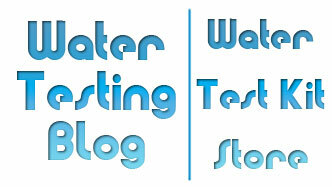 Sorry we do not have more information to share on the topic of airport water testing but we do think, after hearing rumors involving accidental fuel spills (unreported), deicing solution spills (unreported), and the detection of coliform bacteria in potable water supplies on commercial aircraft, etc., that the topic deserves more attention than perhaps many people give it. We wish you the best of luck in getting your business off the ground!